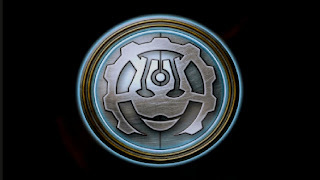 That's right ladies and gentlemen, it's a new faction for Warmachine; the Convergence of Cyriss! All the previewed Warcasters give an ability to the "Vectors" (Warjacks) in their battlegroup. For example, The Iron Mother gives all of the models in her battlegroup Arc-Node. Pretty intense. MAT X and RAT X means that the Vector uses the MAT / RAT of it's Warcaster. Not that awesome for the Iron Mother, seeing as shes MAT 5 / RAT 5, but Axis, The Harmonic Enforcer is MAT 7 / RAT 2, MELEE BEAT STICKS ALL OVER THIS MOFO!!! The Vectors seem like they will pass focus after using it, meaning there is more focus on activation order and allocation will be less of a crucial step. A lot of this will be available at Lock and Load in a few months. Buzz on the internet so far has been pretty positive and it seems like it will be very interested to play with a lot of nuances to master. May or may not be a reoccurring thing, TBD!